Highland Park is well-respected for being an all-rounder in style offering some of the coastal character typical of the islands, Islay, and coastal Highland whiskys, while also offering plenty of juicy fruit for Speyside fans to sink their teeth into. Highland Park has something to offer for a wide range of palates. 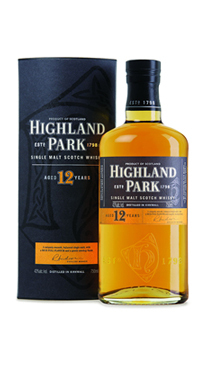 Highland Park 12yr brings a lot of complexity to the table for the buck. This whisky marries the sweetness of honey and heather with toasty peat smoke, baked brioche, wet rocks, and plenty of baked apple and pear flavours. The finish is gentle and smooth repeating the floral, fruity, and faint smokiness from the palate with an added peppery dimension. There’s lots to love in this whisky, and it is an absolute must-have for any day drinking.